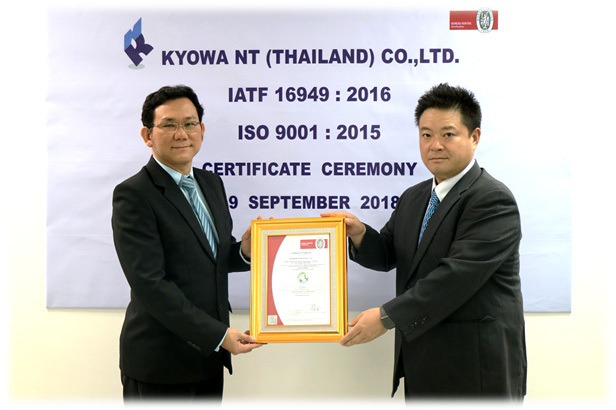 Back to Fact-Link's Top Page > Automotive Parts Production > Kyowa NT (Thailand) Co., Ltd.
Increasing precision, brushing up the speed, responding to the trust. This is what we are PROUD of. 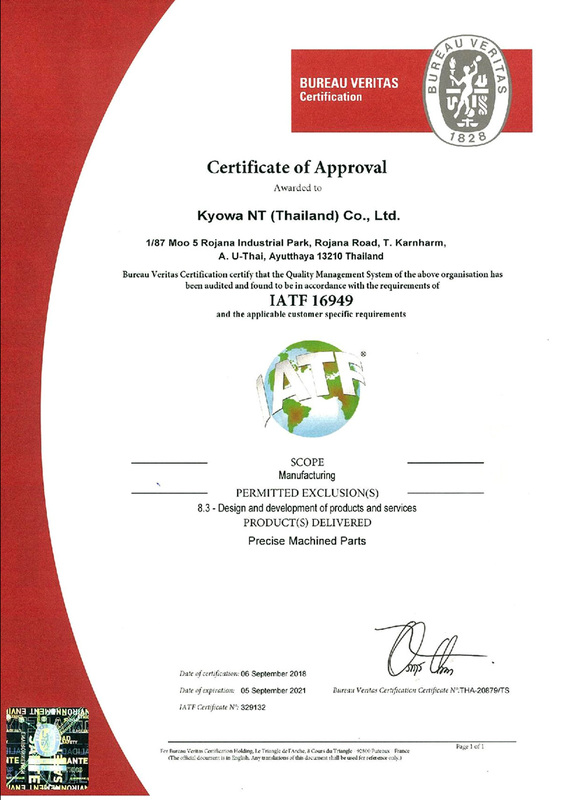 Kyowa Kogyo has been manufacturing auto parts and electrical equipment parts for more than 5 decades. 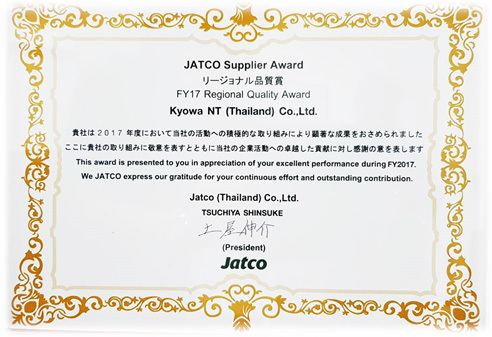 It has been contributing to develop Japanese manufacturing industry. On the other hand, National Tool is well known as a “high quality special cutting tool” maker. And also produces precision machining parts by using those special tools. 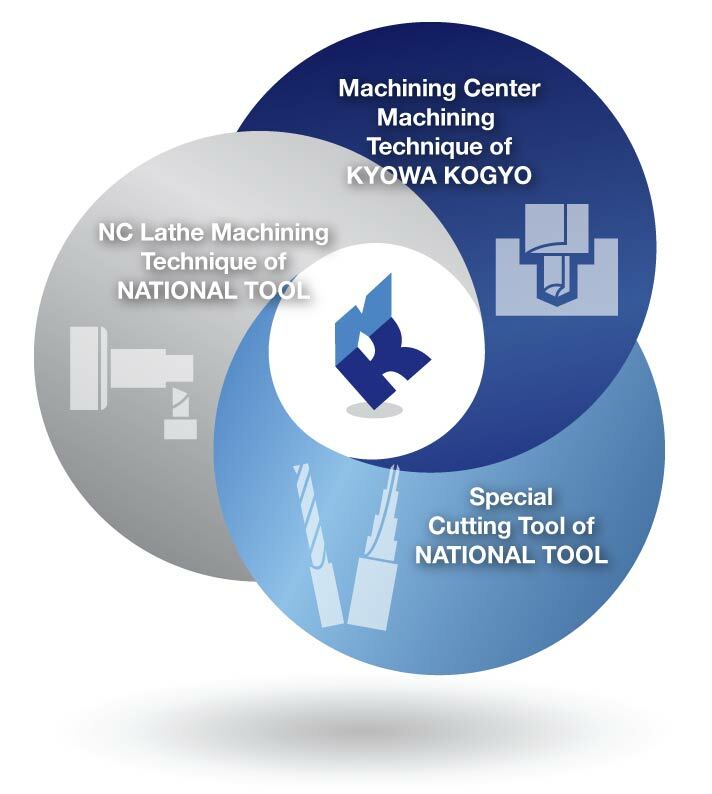 Kyowa NT combines 3 techniques from both companies, machining center technique from Kyowa kogyo and NC lathe technique / special cutting tool from National Tool synergistically to provide Japanese-qualitied products more rapidly with lower price to customers. 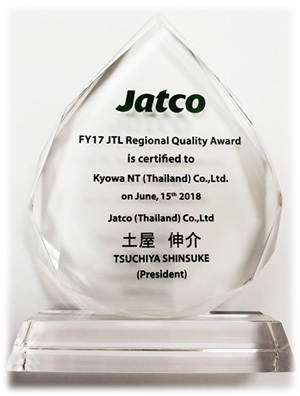 ​ ​Received FY2017 Regional Quality Award from JATCO on June 2018. 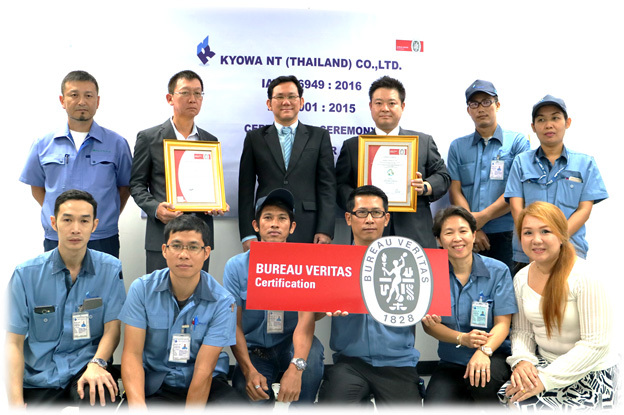 Kyowa NT has inherited long experience and know-how from both companies. Multiplier effect from technology fusion of 2 companies makes difficult and high precision manufacturing possible. 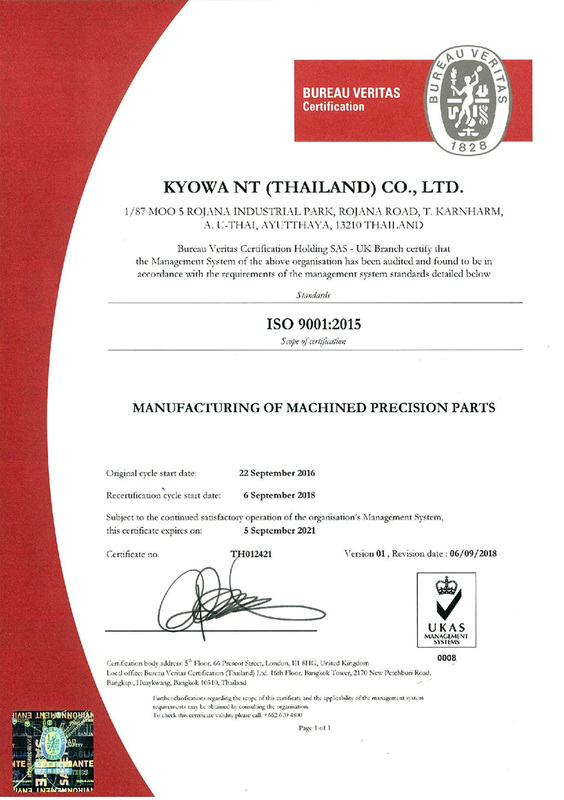 Such as combined or complex machining process by NC lathe and machining center with special functioned cutting tool.